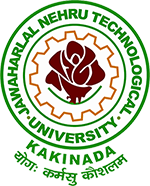 JNTUK B.Pharmacy 4-2 Sem (R13, R10) Regular/Supply Exam Time Tables April 2019, Jntu kakinada IV year II semester examination time tables 2019. JNTUK University has released B.Pharmacy 4-2 Semester (R13, R10) Regular/Supplementary End Examination Time Tables April 2019. Sir please postpone b. Pharmacy 4-2 sem exams B.Tech vallaki postpone chesaru maku?????? Sirexam for 4-2 B.pharmacy is postponed or not..? Is B Pharmacy 4-2 1st exam postponed sir??? Sir 4-2 r13 13/4/2019 exam postpone ayyindha?